BEFORE: Hi there! My name is Kerline and I’m entering this contest for three reasons. 1st and 2nd reason is because I want my b4 3 boys body back and I want a new lifestyle for me. 3rd is there is a Savage Race that I entered my husband and I and I want to be fit for that race. 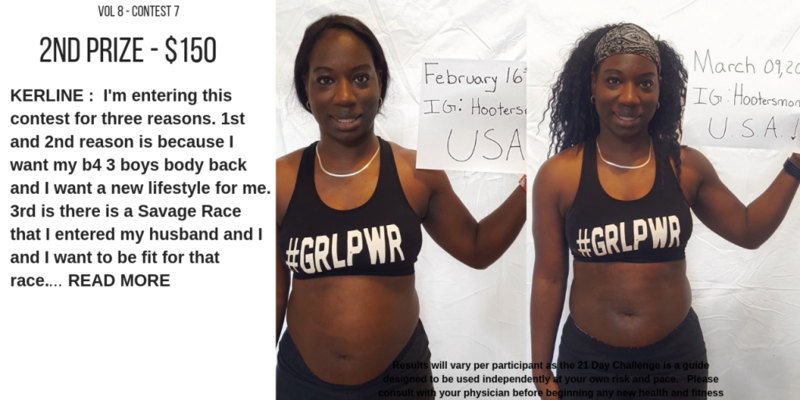 21 Days AFTER: I knew this year I was ready for a healthier me, so when I found Brittne Babe 21 day challenge I was excited. The FB group and Brittne videos was the push and motivation I needed to get thru this challenge with a smile.